In the past, Brunello di Montalcino was undoubtedly considered Italy's most prestigious wine. Riedel Vinum Brunello di Montalcino Set of 2 (P/N 6416/90). Brunello Di Montalcino was long considered the world's most prestigious wine. DOCG rules now require it to be barreled 4 years, so a new glass had to be developed to accommodate the change in flavor. This is the result. Stands at 8-5/8 inch, with a capacity of 20.8 oz. for an average serving size of 7 oz. 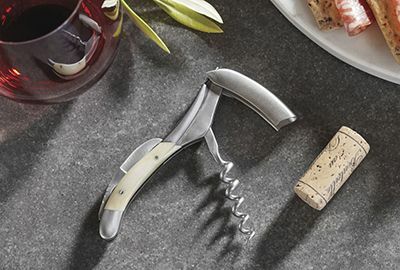 The size and shape improve on the confining former "Chianti Classico," with oak flavors deemphasized in favor of fruit by virtue of the diameter of the rim. <="" b=""> deepens and brightens the amber color of Brunello. Recommended for: Brunello di Montalcino, Bordeaux (red), Cabernet Franc, Cabernet Sauvignon, Merlot, Rioja, Tempranillo Why choose this set over similar glasses? This glass was the first to be officially designed for a wine region. The wide-rimmed trumpet shape brings out the best in the cherries-and-port accents of this surprisingly mature bouquet. If you love Brunello, you'll love these glasses! Just tried these out last night on our favorite Brunello. 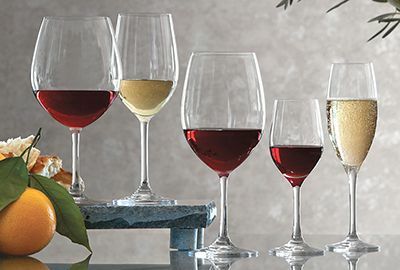 Great quality stemware that noticeably improve the full palate of the wine. 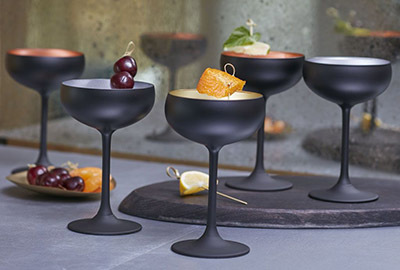 These are a great addition to our other stemware from Riedel. 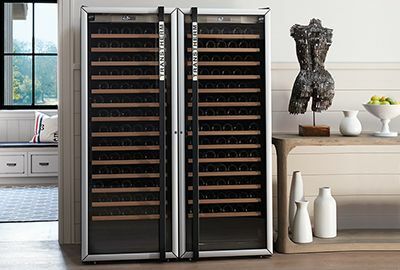 We love the Riedel glasses and the Brunello glasses are a great addition to our collection. 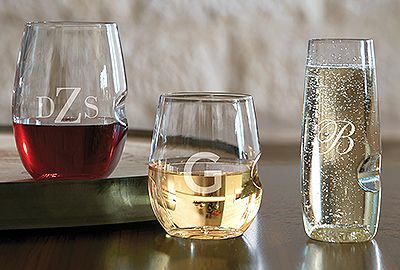 The glasses are very great quality and make a difference in the taste of the wine. They are well worth purchasing if you invest in good quality Brunellos. Items were shipped quickly and arrived in perfect condition. I'm not a connesseur by anyone's standard, but I love the generous size of this bell and I love Cabernet sauvignon! 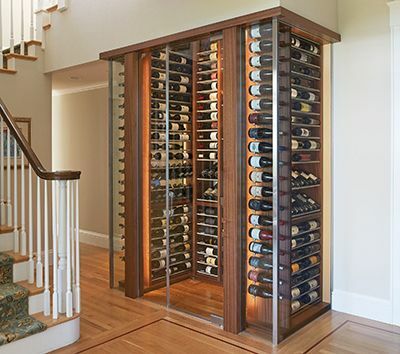 These are wonderfully balanced glass,and not just for Brunello. Finally a dedicated Brunello glass! I tasted-tested using several different glasses and my Brunello really was best showcased by this glass. Try Tempranillo or even Cab Franc in this glass. Recommended.